In 1961 we almost lost North Carolina, when a plane carrying two bombs armed with nuclear warheads broke up over Goldsboro. The only reason the state didn’t suffer the first unplanned nuclear explosion on American soil was because an on-off switch happened to be in the “off” position. Stories such as this, which were examined in Eric Schlosser’s critically-acclaimed 2013 book, “Command and Control,” show just how lucky we have been when it comes to the safety of our nuclear arsenal. A new documentary based on Schlosser’s book, also called “Command and Control” (opening Wednesday in New York City), explores in white-knuckle detail one such incident, at a Titan II missile silo dug in among cow pastures in Damascus, Ark., and how close we came to losing Arkansas -- all because somebody brought the wrong wrench. On September 18, 1980, a routine maintenance chore went horribly awry, when a socket being replaced on the missile fell 70 feet down a shaft and punctured the missile’s tank. Fuel started leaking into the silo, and for the next several hours personnel on site, juggling orders from Strategic Air Command, tried to prevent the leaking chemicals from catching fire, but to no avail: That the freak accident did not result in a thermonuclear explosion was, it seems, pure luck. And, it turns, out, that was merely the second-worst accident that week. As Schlosser’s research has uncovered, while the Pentagon has previously admitted to 32 “Broken Arrow” incidents (an accident involving our nuclear armaments), there have actually been 1,200 such accidents and incidents between 1950 and 1968. We have been very, very lucky. But they know Hollywood thrillers, and “Command and Control” plays into the cadences of a thriller, introducing us to the personnel who were at Damascus that night -- who, in the words of one, had to be “prepared to destroy an entire civilization” by turning the launch keys -- and who, as the missile complex neared catastrophe, would try to rescue civilization while putting themselves in extreme jeopardy. Director Robert Kenner, whose credits include “Food, Inc.” and “Merchants of Doubt,”​ was able to obtain period news footage from local TV stations and even training films for nuclear missile crews, but the documentary gains immeasurably from recreated scenes filmed within a decommissioned Titan II missile complex, outside Tucson. That site, now a museum, was like having a “$10 million Hollywood set,” Kenner said. Schlosser found that the man in charge of nuclear development at the laboratory where America’s nuclear bombs were built had not been told about many of the accidents and incidents involving the designs for which he was responsible. “It was a sign of the compartmentalized secrecy at the time,” Schlosser said. “The weapons designers who knew there were safety problems didn’t know how the weapons were being handled in the field, and the guys who were literally having their lunches sometimes sitting on nuclear weapons smoking cigarettes had no idea there were any safety problems with these weapons. By presenting the Damascus incident as scarily normal, Kenner’s masterfully shot and edited documentary proves to be more unnerving than a Hollywood horror film. 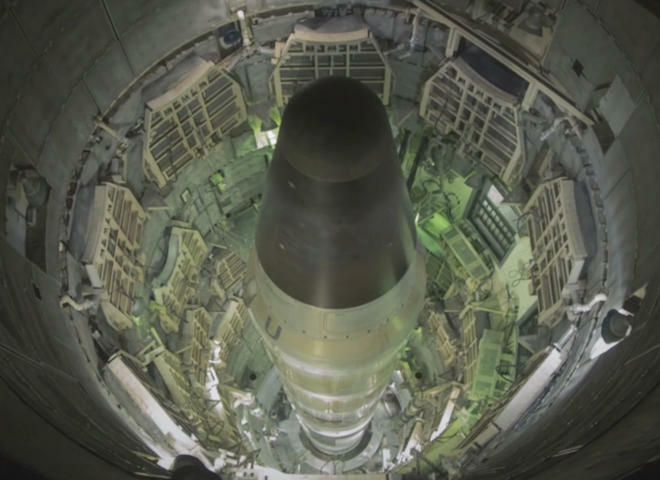 “Command and Control,”​ which debuted earlier this year at the Tribeca Film Festival, opens today at New York’s Film Forum​, and will play in theatres across the country​ in the coming weeks, before premiering on PBS’ “American Experience.” Running time: 92 minutes. The film is not rated.